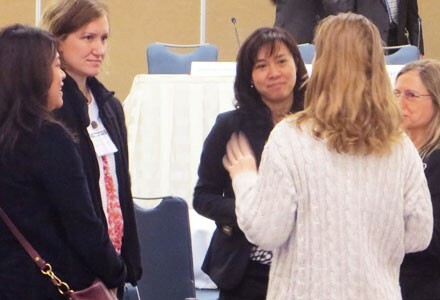 The conference explores the career obstacles, risks and rewards on the path to a fulfilling and productive career for women lawyers – particularly when practicing in Silicon Valley and intellectual property. What is the best way to manage your career? What are the best approaches for promoting yourself? Where can you take your career? Are companies doing enough to promote high-potential executives? What is unique about working in Silicon Valley and IP? Natalie A. Bennett focuses her practice on intellectual property, with an emphasis on patent infringement and trade secret litigation. She has litigated for technologies in the computer networking, electrical, biotechnology and pharmaceutical industries. Previously, Natalie served as a judicial clerk for the Honorable Jimmie V. Reyna of the US Court of Appeals for the Federal Circuit and for the Honorable John D. Love of the US District Court for the Eastern District of Texas. She frequently relies on her clerkships when advising clients. During district court proceedings, Natalie pays particular attention to issues that may be pertinent to an appeal, including error preservation strategies. Natalie has extensive experience preparing briefs and pleadings, including post-trial submissions and appellate briefings. She has argued before the Federal Circuit and has also argued high-stakes issues in district courts such as motions for judgment as a matter of law and preliminary injunction proceedings. 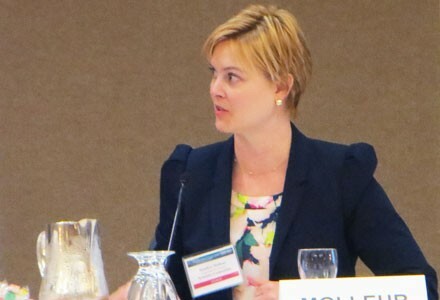 As a trial lawyer, Natalie has litigated six intellectual property disputes through trial to final judgment, including the first verdict obtained under the federal Defend Trade Secrets Act of 2016. She is skilled in taking and defending depositions, and examining fact and expert witnesses at trial before a jury. Natalie maintains an active pro bono practice. She advocates frequently for veterans through the Veterans Consortium Pro Bono Program, and she has a record of successfully negotiating individualized education programs for children with disabilities. She was part of successful cross-office pro bono litigation teams prosecuting claims of pregnancy discrimination and copyright infringement in federal court. While in law school, Natalie was the editor in chief of the I/S Journal of Law and Policy for the Information Society. Before attending law school, she received funding through the National Science Foundation to conduct biomedical research relating to retinal neural regeneration. Natalie is the co-author of a peer-reviewed publication appearing in Experimental Eye Research. Lisa Kobialka counsels and represents clients in complex intellectual property litigation, including trials and evidentiary hearings in numerous jurisdictions across the United States involving claims for patent infringement, trade secret misappropriation, unfair competition and trademark infringement. Ms. Kobialka represents clients in a variety of technology-related industries, with a particular emphasis on the energy, computer science and pharmaceutical sectors. She also represents clients in general litigation, including breach of contract and tort claims. Ms. Kobialka represents both plaintiffs and defendants, and has handled more than 150 litigations throughout the country. In the past year, she successfully tried several different multipatent cases, including one in the Northern District of California involving antivirus software and computer products, and two separate trials in the District of Nebraska involving wireless carriers. She also handled a Lanham Act dispute for a Fortune 500 company in the District of Delaware that settled just hours before opening statements. 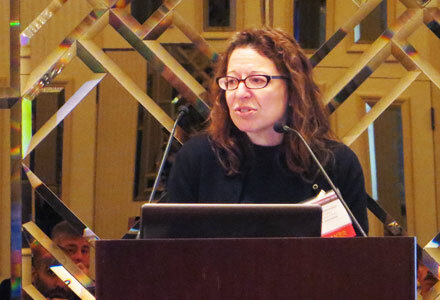 Managing Intellectual Property named Ms. Kobialka California Litigator of the Year, Patent Star and Trademark Star for 2016, and one of the Top 250 Women in IP in its 2013 Edition of IP Stars. Silicon Valley Business Journalpresented Ms. Kobialka with the 2016 Women of Influence Award. Compliance and contract oversight in Advanced Technology, charged with managing over $120 million of Federal funding to include American Recovery and Reinvestment Act (ARRA) stimulus funding used to demonstrate smart grid technology, explore energy storage and various other projects. Christy McCullough is a partner in the firm’s Intellectual Property practice. Her practice focuses primarily on patent litigation and appeals, related counseling, and general commercial litigation for technology companies. Christy has experience with a broad range of technologies in the electrical engineering and computer science fields, including processor and network architecture, semiconductors, cloud computing, telecommunications networks and devices, and Internet and software applications. She has handled high-stakes cases for established FORTUNE 500 companies as well as emerging companies and startups and has extensive experience before federal district courts throughout the country and the Federal Circuit. Prior to joining Perkins Coie, Christy clerked for the Hon. Kimberly Moore, Circuit Judge of the U.S. Court of Appeals for the Federal Circuit. Christy also maintains an active pro bono practice representing veterans in obtaining service-related benefits and disability compensation. Delphine Knight Brown is a litigator whose practice focuses on complex intellectual property and technology cases. Her patent litigation experience, including Hatch-Waxman cases for several generic pharmaceutical companies, has involved pharmaceutical, medical device, computer software and hardware, and business method patents as well as misappropriation of trade secret claims and unfair competition matters. Delphine also handles complex copyright and trademark infringement and licensing matters. 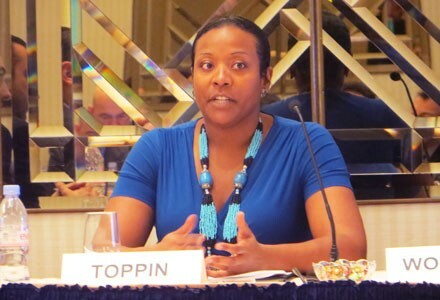 Delphine’s experience includes representing foreign corporations and their subsidiaries and affiliates in legal proceedings in the United States. She represents corporations in state and federal courts nationwide in pretrial, trial, arbitrations and appellate proceedings. Thirteen years corporate practice experience, including the last seven as senior in-house corporate generalist in the technology (SaaS - software as a service) industry. Executive legal successes include intellectual property management (patent, trademark, trade dress, and copyright), M&A and transitional management through merger and acquisition, and implementation of pragmatic compliance protocols. Specialties: intellectual property, software licensing, cloud services, corporate transactions and governance, data privacy and information security, including HIPAA and FedRAMP. Melissa Scanlan is a Senior Director at T-Mobile and is responsible for all litigation and disputes, as well as proactive risk management, for company matters that implicate intellectual property, antitrust, or significant commercial disputes. In addition, Ms. Scanlan is responsible for antitrust counseling and advice for the company, including antitrust guidance involved in corporate mergers or acquisitions and in network spectrum auctions and bidding behavior. Prior to joining T-Mobile, Ms. Scanlan was Associate General Counsel for InfoSpace, Inc. In that role, Ms. Scanlan managed complex commercial litigation with an emphasis on public securities class action defense. She also advised on proactive risk management practices through contract negotiations. Prior to that, Ms. Scanlan was an associate at Arnold & Porter in Washington, D.C., where she handled antitrust litigation and advocacy before the Department of Justice and the Federal Trade Commission. Ms. Scanlan earned her J.D. from Yale Law School. At Yale, she was a Senior Editor on the Yale Law Journal. She is a member of the Pacific Northwest Planning Committee for ChIPs, an organization dedicated to the advancement, development and retention of women in the IP field. 16+ years of demonstrated success in spearheading strategic guidance for the global development of biologic products for rare diseases in view of patent, regulatory and competitive landscapes. Highly skilled in broad range of legal and IP-related matters: IP licensing and transactional issues, mergers and acquisitions, private and public financings, SEC filings, general corporate transactional issues, manufacturing and clinical trial agreement drafting and negotiation. A hands-on organizational leader; manages departmental budgets and ensures focused business delivery. Forges and maintains effective relationships with diverse groups of clients and colleagues. Recognized for superior conflict resolution and problem solving skills. Resourceful, sharp, and respected. Pamela is Senior Attorney at Microsoft with a focus in intellectual property and software licensing. PReviously Pamela held various other Attorney positions at Brobeck, Phledger & Harrison LLP. Pamela has earned a B.A. in English and Literature from the Unviersity of Denver and her J.D. from the University of Denver Sturm College of Law. Erin M. Dunston is the Biotechnology practice group leader of the firm's Intellectual Property section and a member of the firm's Associates Committee. She focuses on inter partes reviews, interferences, district court litigation, opinions, and prosecution — primarily in the fields of biotechnology, pharmaceuticals, and medical devices. Her litigation practice includes classic infringement and declaratory judgment cases, as well as Paragraph IV cases. In 2014, 2015, and 2016, Erin was recognized in IAM’s Patent 1000 list – the best-in-class listing of patent prosecution, licensing, and litigation practitioners and as an IP Star by Managing Intellectual Property. From 2014 to 2016, Erin has been named a Leading Intellectual Property Lawyer by Chambers USA. Erin also received Lawyer Monthly’s Women in Law 2016 Award for her contributions to the practice of biotechnology law. Having spent over a decade doing academic research in the medical field, Alicia Russo has a strong passion for technology and brings a deep understanding to the highly technical matters she works on. Her peers refer to her as exceptionally creative and insightful. Her passion for technology and her creativity translate into favorable results. Alicia has significant experience in intellectual property due diligence and licensing associated with high profile acquisitions and is the lead of the firm’s due diligence practice. She has successfully represented clients in complex patent litigation and contested proceedings before the United States Patent and Trademark Office. In addition, she has successfully secured patents for clients in numerous technical fields, including the medical and energy fields. 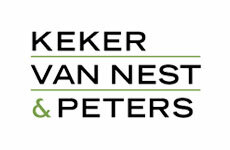 She also acts as an ardent representative for clients abroad in foreign patent litigation, oppositions, invalidation proceedings and patent prosecution and has a unique understanding of intellectual property considerations across the globe critical for assisting clients in developing consistent worldwide strategies. In addition to having experience and a strong understanding in the medical field, including biologics and small molecule pharmaceuticals, Alicia has significant experience in the fields of energy, fiber technology, building materials, biotechnology, and bioinformatics. Ms. Russo’s scientific career resulted in numerous publications in noteworthy scientific journals, such as Science, Nature, Cell and the Proceedings of the National Academy of Sciences, with articles featured on the cover of both Nature and Cell. She is also extensively published in the legal field.